Power Walking was an exercise fad that peaked around 1996. It fell somewhere in between a real workout and wearing an electric ab belt. 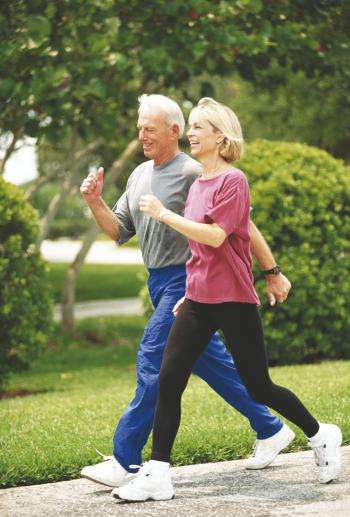 Power walking was particularly popular amongst the elderly. They must have gotten bored of water aerobics. Probably the best part about power walking was actually seeing people do it. I remember the power-walkers on the track at my high school. They’d be pumping their arms feverishly, with a look of total Lance-Armstrong-Determination on their faces. All this while being passed by joggers in sweatsuits.